A year on, and tasting confirms the wonderful success of this vintage! In 2017, the Bourgogne region returned to harvest volumes that were closer to the average, particularly for the reds. Moreover, the quality of the wines was high. This has been confirmed by markets, which rapidly hailed this vintage as one with all the elegance generally associated with Bourgogne wines. The vines were boosted by a very warm spring, and right from budburst in early April were ahead of the norm, maintaining this advance until the harvest. Then everything followed on very quickly. There were a few periods of heatwave during the summer, alternating with more mixed weather. Ripening continued at a good rhythm, nonetheless. At the end of August, the first grapes were harvested, two weeks in advance of the average. Harvesting continued until mid-September to allow each plot to harvest in turn. The only drawback was that certain sectors that had been hit by spring frosts did not produce the yields producers had hoped for, particularly in terms of the whites. A year on, and tastings have confirmed our first impressions: 2017 is a vintage that has revealed some wonderful successes! Click here to find out more about the vintage by color and region. How well do you know this appellation? • A long history filled with adventures! At the foot of the cliffs sits Saint-Romain, a pretty village located some 13km south of Beaune. It has a long history, having been home to a very active human population since the Neolithic age, around 4300 BC. It was one of the first places where vines were grown, under the Celts and the Romans. The appellation covers red wines made from Pinot Noir and whites produced from Chardonnay. It covers 110 hectares, including an additional 13 hectares added to the AOC in 2017, bringing to a close a project launched in 2002. Work to prepare the plots will begin in spring 2019. “The first plots should be producing in 2020,” explains Bernard Martenot, President of the Saint-Romain management body. If you are keen about geology, then studying the terroir of Saint-Romain is a delight, as it is a land of the Lias Group. The vines grow on the slopes with excellent soils. In this marl and limestone ensemble, bands of clay are perfectly suited to growing the Chardonnay grape. The vines face south-southeast and north-northeast, at between 280-400 meters above sea level. • What food to serve with Saint-Romain wines? Saint-Romain red: This elegant and velvety classic Bourgogne wine usually has a fragrant and sometimes fruity nose, making it perfectly suited to white meats and poultry in a light sauce. It would also make a great match for pan-fried veal chops or blanquette de veau. Or serve with soft and creamy cheeses like Brillat-Savarin or Cîteaux. Saint-Romain white: These wines are often very minerally, which makes them ideal for serving with subtle-flavored fish, both pan-fried or steamed. Omelets and poached eggs, lightly-fried or marinated vegetables also make great companions. They also pair very well with soft-rind cheeses like creamy Camembert. Click here to find out more about the Saint-Romain appellation. Click here for a full list of Saint-Romain producers. Take advantage of this event to promote your selection of Bourgogne wines and to launch the 2017 vintage on the market! Bourgogne Week runs in the UK capital from Monday 7 January to Friday 11 January 2019. It is a key event in the wine industry calendar that allows importers and distributors to present the new vintage to the market, while sharing the diversity of Bourgogne wines. It’s also a chance to invite producers and négociants from the region to come and present their wines to tastemakers like wine-store owners, journalists, and sommeliers, along with confirmed wine buffs. This event, which has been running for some years now and building up quite a fan base, is supported by the BIVB through an in-depth marketing strategy across social media and via partnerships with The Buyer and The Drinks Business. In 2018, our various “Bourgogne Week” publications across social media enjoyed 3.6 million hits, enabling those hosting events to enjoy strong attendance at their gatherings. • If you’re an importer or distributor, contact us with details of your event so that we can feature it on our page and get the word out. Use the hashtag #BourgogneWeek across social media and the BIVB will share all your posts. 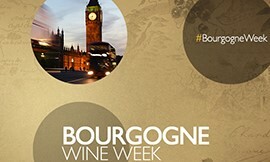 • If you’d like to take part in any Bourgogne Week events, check out regularly the website www.bourgogne-week.com. And don’t forget to share your Bourgogne wine-related photos, thoughts, and discoveries on social media with the hashtag #BourgogneWeek. For more information, please contact cannelle.peulot@bivb.com. The 28th edition of the competition confirms the quality of the 2016 and 2017 vintages. On Saturday 3 November, the town of Tonnerre, one of the destinations that now bears the Vignobles & Découvertes label, was host to the 28th Grand Auxerrois Wine Competition. With no fewer than 55 producers and estates represented, the 55 members of the jury sampled 201 wines entered into the competition. Under the watchful eye of Nelly Lega from the Cave du Maréchal in Auxerre, and patron of the event, this latest edition of the competition selected 79 winning wines, with 15 gold medals, 34 silver, and 30 bronze medals awarded. The jury is made up from confirmed wine lovers, journalists, sommeliers, enologists, traders, and restaurateurs. However, the winegrowers whose wines are competing are not allowed to participate in tastings of their own appellations. This edition was a great success, for both the organization of the competition and for the wines, too. Click here for a complete list of the winning wines at the 28th Grand Auxerrois Wine Competition. Click here to keep up to date will all the latest news on the wines of the Grand Auxerrois on Facebook. Discover the unique bond between people and the land. After a year of filming, 40 hours of rushes, and 30,000 photos, the Bourgogne Wine Board (BIVB) is delighted to present the first chapter in a new series of short films entitled “Winemaker in Bourgogne, an artisanal craft.” This 13-minute video, entitled “The People and the Vines” explores the growth cycle of the vines through to the harvest. Produced in both French and English, it is the first part of a diptych in which the main characters are the winemaker and the vines. The grapes, the third star of the series, will feature in the second part, “The People and the Wine”, currently shooting. It will be finished in spring 2019. This is an educational film, but it also captures the emotion and poetry throughout each season. 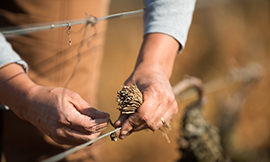 The viewer will discover that Bourgogne wines are truly hand-crafted, each one bringing out the unique Bourgogne terroir where the grapes grow. You can also enjoy our booklet "Understanding the winegrower's trade". It is practical and simple, and full of answers to the questions you might have about this world. Discover the role of our Official Ambassadors. Eight new Bourgogne Wines Ambassadors have just been appointed by the Bourgogne Wine Board (BIVB) after a week of immersion in the vines. They include sommeliers, wine store owners, enologists, and trainers, and come from as far afield as Lyon, Toulouse, Marseille, Bordeaux, and Paris. Now they are Official Ambassadors for Bourgogne wines, and their mission is to train professionals and keen amateurs alike. The network of Bourgogne Wines Ambassadors includes 75 people around the world, including 15 in France. Bourgogne Wines Ambassadors mainly train professionals from the wine industry, along with amateur wine lovers, through themed seminars, conferences, tastings, and other enological events. The BIVB provides them with educational materials, such as training presentations, videos, and maps. Feel free to contact them to help with your Bourgogne wine-related events. Click here for the full list and contact details for all Bourgogne Wines Ambassadors. This brand-new international trade show brings vine and wine professionals together in Paris to share the riches of the world’s winegrowing terroir. 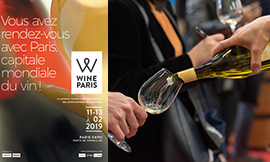 Wine Paris will feature masterclasses and a wealth of tastings, with more than 2,000 exhibitors including more than 80 estates, producers, and co-ops from the Bourgogne winegrowing region. Two of the masterclasses will be dedicated to Bourgogne wines. Hosted by Bourgogne Wines Ambassadors, they will tackle the two themes of “Unique and Unexpected Bourgogne Wines” and “The Mystery of the Climats”. Visitor registration is now open. You can register now by clicking here. And to get in the mood, check out the “Paris, World Wine Capital” video here. 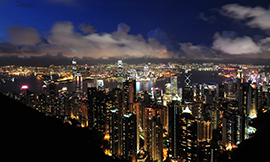 The dates for the upcoming Bourgogne Week Hong Kong have just been announced: 25 February to 1st March 2019. This promotion offers importers, specialist wine stores, restaurants, wine bars, online wine sites and others the chance to organize events such as tastings, winemakers’ dinners, and in-store and online promotions, all with Bourgogne wines in the spotlight. 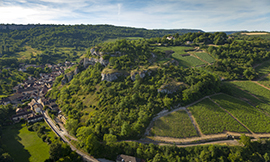 It is a unique opportunity to discover the diversity of Bourgogne wines. This major promotional campaign orchestrated by the BIVB will give visibility to each event in the press and on social media. Whether you want to be an organizer or participant, put the dates in your diary now for this week dedicated to Bourgogne wines. We will be providing more details soon. 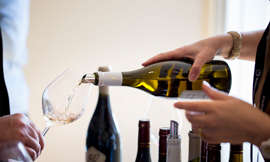 Don’t miss out on any upcoming industry events involving Bourgogne wines and their producers.